UK political parties remain 'way behind the curve' compared with the US' 'Super Bowl-style' electioneering, UK comms professionals on the US campaign trail have said. 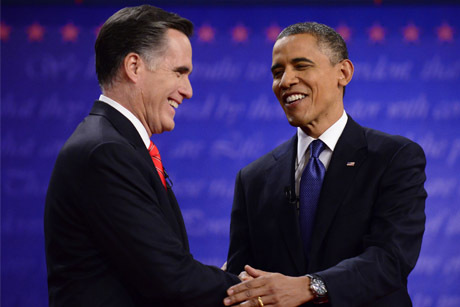 As teams surrounding US President Barack Obama and Republican candidate Mitt Romney prepare for the election on 6 November, UK communicators have remarked upon the impressive levels of digital campaigning, data mining and ultra-targeted canvassing compared with the UK. Emily Hunt, director of insights at Edelman Berland, Edelman's insights and analytics subsidiary, said the success of US-style campaigning was in its ability to 'make politics relevant to people in their lives', something the UK is still striving to achieve. Hunt explained that televised political debates were seen by the US public as events akin to the Super Bowl, which feed into an 'enormous amount' of social media traffic. 'While the debates are old school, there's a reality TV aspect in the US now with people playing along at home like it's American Idol or the Super Bowl, creating a different feel of political engagement than we see in the UK,' she said. TaxPayers' Alliance co-founder Matthew Elliott is following the Republicans' activities as part of Act Inspired, a bipartisan education project for UK campaigners. He said the steepest learning curves for UK campaigners were in digital campaigning and data mining. 'British campaigns have barely scratched the surface of these vital tools - we are still fighting the equivalent of George Bush's second presidential campaign. We are way behind the curve on this,' said Elliott. However, he pointed out that US campaigners could still learn valuable techniques from 'the old country', particularly around creativity, as a result of the UK's relatively low spending limits. Blue State Digital EMEA MD Rob Blackie, whose firm is supporting Obama's digital campaign, added that the emergence of smartphones had transformed the US public's experience of politics since 2008, making social media 'as crucial to campaigning as direct mail or email'. The past four years have seen phenomenal improvements in the Republicans' use of data mining and the adoption of social media in political campaigns to engage and build loyalty with key voter groups. That said, the winner of the 2012 election will still be the campaign that deploys the 'best ground game' and Get Out the Vote machine in key states such as Florida, Ohio and Virginia. This may sound traditional, but the way US campaigners now organise and co-ordinate their teams on the ground is reminiscent of a modern and sophisticated military exercise. There are elements such as GPS positioning and mobile phone app downloads of voter information for volunteers to gather data that might be of use to the campaign headquarters in real time. The economic situation in the US, and the fact that this is a second term election, means that Obama's aspirational rhetoric of 'hope and change' will not cut it with voters this time around - hence the Democrats investing in far more negative attacks than in 2008. There is a concerted effort to portray Romney as an unacceptable alternative. There was an enormous blitz of TV advertising in the summer and the focus now is more is on the 'ground game' to bring home the election through direct communication. The party believes TV and radio saturation means that, as election day nears, people are far more likely to speak to friends and neighbours to have a discussion about who to vote for. This means that old-fashioned door-to-door canvassing is still enormously important. 22 October Third presidential TV debate takes place, during which Obama accuses Romney of flip-flopping on major international issues. 19 October At a campaign stop in Virginia, Obama attacks Romney for shifting tack, dubbing it 'Romnesia'. 16 October In the second TV debate, Obama hits back at Romney about the economy, tax and foreign policy. 3 October The first TV debate is widely seen as a Romney win. 17 September A secret recording is released of Romney at an event remarking that 47 per cent of Americans were government-dependent victims. He later disavowed the statement. Source: *The Nielsen Company; **NBC/Wall Street Journal.